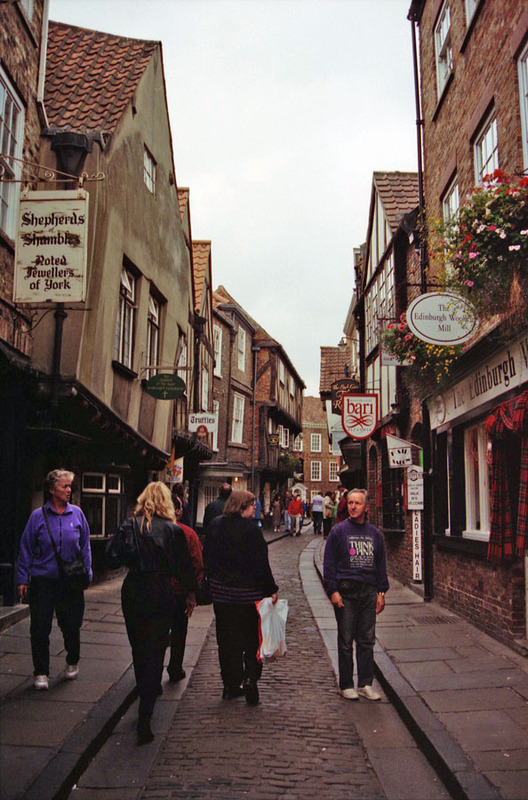 Our first stop outside greater London was York, which we absolutely adored. The city of York has preserved enough of the old (some parts going back to the Romans) while keeping the city functional so that you don't feel like you are in a museum. What's particularly interesting is that they have preserved some of the old language in location names. Note how narrow the street is. This particular street is "The Shambles" - and old term for the street on which the butchers maintained shops. The modern sense of "shambles" came from the (literally) bloody mess usually found on such streets.